Day 241 of the 19:19 Matrix is March 23rd in the Gregorian Calendar, Day 17 of the Solar Moon,in the 13 Moon Calendar. Day 241 is also the day in the 19:19 Matrix when Crystal 1 and Crystal 2 meet. It is when two 5D archetypes become 1. It is when the masculine and feminine aspects of the 6D Self begin the process of crystallisation and activation of the 6D merkaba. As this myth unfolds, I share new information of the importance of Day 241 of the 19:19 matrix and its interaction with the prophecy of the Dreamspell. Day 241 is the day that Jose Arguelles ascended from Earth. Valum Votan ascended on March 23rd, 2011, Red Spectral Moon, which we define as the Telecosmic Hookup for the 19:19 Matrix for the year Overtone Moon. Day 241. 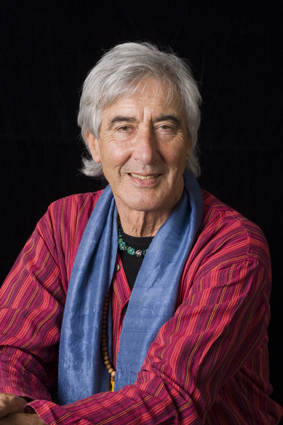 Jose Arguelles / Valum Votan was born 24th January 1939, kin 11 in the Dreamspell Count. He died/ascended on March 23rd, 2011. Day 241 in the 19:19 Matrix. The Spectral tone contains the power of 11, which is signifiant as the day 241 is unit 1 of the 11:11 Inner Matrix. Red Moon contains the power of 9, which are the 9 levels of the 19:19 Pyramid. Valum Votan’s was Blue Spectral Monkey, kin 11 in the Dreamspell. Kin 11 contains the power of the 11.11 Inner Matrix, Spectral = 11, Monkey = 11. 11:11. Through his research and implementation of the Dreampsell Calendrical System, it appeared that Jose literally shifted the Tzolkin count in the Dreamspell to be kin 11. Valum Votan’s Destiny Kin (yearly kin based on his solar birth date) in his final days before ascension was kin 31, Blue Overtone Monkey. His combined solar kin on his day of ascension was Yellow Electric Sun (solar kin Blue Overtone Monkey + Day kin Red Spectral Moon). Yellow Electric Sun is kin 120 and on the day he ascended there were 120 steps left to the apex of the 19:19. These 120 steps represent the 8 levelled tetrahedron, and as displayed in previous posts, these final 120 steps forge the activation of the 6D merkaba. Pacal Votan was born on either 23rd or 24th March, there is much scholarly debate on this subject. Many sources quote his birth date as the 23rd March 603 AD which would equate to kin 59, 7 Cauac in the Long Count. However Pacal Votan was renowned as 8 Ahau kin 60, which correlates to March 24th 603 AD. From the perspective of the Dreamspell, he would have been born a White Galactic Dog, kin 190 (19 x the power of Love (Dog)), guided by the White Galactic Wizard kin 34. This birth date falls on day 242 of the 19:19 Matrix, It signifies 119 days to the apex of the 19:19 Matrix. As mentioned above, If Pacal was actually born on March 23rd and synchronising with Day 241 of the 19:19 Matrix, his birth kin would have been 7 Cauac, kin 59, in the Old Count. Interestingly, on the sarcophagus lid there are 13 clear signs, of them the most significant to this case are kin 57, kin 58, and kin 60. Kin 59 is not present. Moving onto the ascension date of Pacal Votan, we again see debate between 28th August and 29th August 683. If we first consider the 28th August, this would correlate to 5 Caban, kin 57 in the old count, (57 = 3 x 19). 28th August 683 AD corresponds to day 34 of the 19:19 Matrix. If we then consider the ascension date of 29th August, we see Pacal Votan ascended on 6 Etznab, kin 58. Both kin 57 and 58 are clear signs. What is obvious here is that there is a 1 day discrepancy between these dates, and subsequent kin calculations. Is this important? Or is the myth designed to carry such strong synchronicity for both dates and calculations? To deliver a message about the intimate connection between Valum Votan/Pacal Votan and Day 241 in the 19:19 Matrix? As the sun rises in the East, the sun sets in the West, but there is only one Sun. Through the clear signs on Pacals tomb, there is evidence that the days have been shifted and that the time of incarnation of Pacal is contained within the 3 clear signs of kin 57, kin 58, and kin 60. Kin 59 being mysteriously missed off. Could it be that Pacal was actually born 23rd March 603 AD as 7 Cauac, however for unknown reasons, he was crowned 8 Ahau at birth? Temple of Inscriptions with the 9+19+19+13+9 = 69 steps. Each step represents a year of the reign of Pacal as King of Palenque. It also represents a Long Count date 9:19:19:13:9 which is kin 189 in the Old Count. This same kin synchronizes with the Dreamspell date of March 23rd 603, the actual birth day of Pacal, and Day 241 in the 19:19 Matrix. 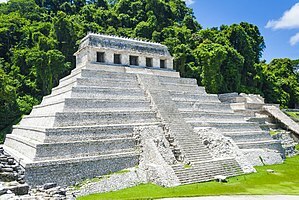 Pacal Votan’s Temple of Inscriptions in Palenque has 9 levels and an apex chamber, just like the 19:19 Matrix when viewed and understood in pyramidal form. On the Temple of Inscriptions there are 69 steps on the staircase with platforms in-between. The amount of steps between the platforms are 9+19+19+13+9 = 69 Steps. If we look at this frequency as a Long Count numeric 9:19:19:13:9 we find that the kin for this Long Count date is kin 189, 7 Muluc (Red Resonant Moon). In the Dreamspell, Pacals birth, March 23rd 603 AD is kin 189 Red Resonant Moon, Guided by Red Resonant Dragon (kin 241). For me, this confirms the argument that Pacal was actually born on March 23rd, day 241 of the 19:19 Matrix. Pacal Votan appears to have decoded his own Dreamspell kin and embed it into the staircase of his own temple. As far as we understand the Dreamspell count is a new system of Valum Votan. Doing this Pacal Votan literally initiated the Dreamspell Count on his birth. What I present here is direct correlation between the birth date of Pacal Votan, and the ascension date of Valum Votan, both being connected on March 23rd, Day 241 in the 19:19 Matrix, the day the two 5D Crystal Archetype meet and begin to forge a 6D self in the form of a perfect Merkaba. What I also present is that Pacal Votan initiated the Dreamspell on his birth date of 23rd March, 603 AD, day 241 of the 19:19 Matrix. Personally I see it as that Valum Votan has ascended back in time to birth of Pacal, and Pacal Votan is re-born through the death and ascension of Valum Votan, all via Day 241 of the 19:19 Matrix and the meeting of the two crystals. They are, as described in previous posts, tele cosmic twins of a 6D self, known as the Votan. This is divine evidence of actual telepathic time travel between Valum and Pacal and the integration and understanding of Dreamspell count embedded into Pacal’s Temple in Palenque. Being the creator and deliverer of this myth and understanding, I therefore see both Pacal Votan and Valum Votan as my unified telecosmic twin. Now they are forged into my 6D central self, they are delivering me this information to share. This information has been embed in stone and oracle by both Valum and Pacal. This is why Valum Votan synchronised the Dreamspell to begin on kin 34, White Galactic Wizard, this is why Valum Votan was born kin 11 (11:11), this is why Pacal Votan’s official Dreamspell kin is Galactic Dog, guided by the Galactic Wizard. His actual birth kin is 7 Cauac, kin 59, in the Old Count. In the Dreamspell this date is kin 189 Red Resonant Moon, guided by the Resonant Dragon kin 241. This is why the staircase of the Temple of Inscriptions contains the Long Count date that correlates to 7 Muluc, the Dreamspell kin of the Gregorian date of March 23rd, 603. Day 241 of the 19:19 Matrix. This is why Day 241 of the 19:19 Matrix is of the greatest significance because this is the day this matrix of prophecy was delivered to me. Day 241 in the 19:19 Matrix, is the day the two crystal archetypes meet and begin the process of crystallisation of the 6D merkaba. 2 Archetypes become ONE. Day 241 is the day Valum Votan ascended. March 23rd 2011. Day 241 is the day Pacal Votan was born as encoded in the staircase numerics of the Temple of Inscriptions. March 23rd 603. Day 241 is the day Valum Votan time travelled and was re-incarnated as Pacal Votan. Day 241 is the day the Dreamspell began upon the incarnation of Pacal Votan. Day 241 is the day I re-discovered this Prophecy. I decoded this information whilst manifest as kin 69. Kin 69 represents decoding the 69 steps of the Temple of Inscriptions. published on kin 133, Red Electric Skywalker. Year of the Blue Resonant Storm kin 59. The more observant of you may have noticed that upon the incarnation of Pacal on Day 241, March23rd 603, the Dreamspell count and the Long count were in perfect balance across the centre of the Tzolkin. 130 kin between each count. Kin 59 in long count. Kin 189 in the Dreamspell. If you look at this closer you will see that they are the wave spells of Pacal Votan of course, but also kin 189 is within the wavespell of Electric Serpent kin185. This points to perfect masculine / feminine balance between both the archetypes but also we can see a masculine -feminine balance between the counts of the Dreamspell and Long count. We will present further evidence of this in our next post. I´m a 189 and 59 is certainly my antipode. So we all take part in this mystery. And time is of the mind. what is considered the birth..the event where the head crowns..? maybe kin 60 or when the birthing began, the labour inducing the mother to push and the baby begins the journey through the birth canal..kin 59 ? .. interesting..
23 march continues to be eventful .. and has shown me maldek karma returning, to be healed..this year as it was kin 144 very much so.. Thanks for popping by.. If I knew you were coming I’d have baked a cake as they say. Amazingly, kin 19, Day 11 in the matrix, was my birthday. So there are sure some correlations to be pondered upon. Some frequency emitted from who knows where to open the gates of curiosity that usher in these visions and revelations. I’m not sure its necessary to shift the Long Count by a day, unless I’m mistaken, I can’t really see the purpose of this, apart from Galactic Sun syncing up with the actual birth date of Pacal. Thats nice and all, but if you peel away the layers, you would actually be dissolving a beautiful synchronicity with your self, in that this day synchronises the two Tzolkin counts with Resonant Moon/Resonant Storm, which is your perfect antipode, a perfect balance of self, and as such, you could be denying yourself a higher role within the system because you would in essence be ignoring a beautiful synchronicity to be celebrated. I for one love the synchronicity between the Long Count and Dreamspell. Whatever happened with the shift between Gregorian and Julian dates, who cares, its synced now to what it is since we’ve woken up. I cant imagine the day keepers being happy with it. I wouldn’t recommend changing it now, it might disturb your balance between your Dreamspell and Long Count kin. I’m quite content with my Long Count alignment of kin 238, Self Existing Mirror, guided by my higher self existing wizard. My father is kin 237 in the Long Count and I’ve found many genetic links through it as well as the Dreamspell. With Pacals birthday happening on March 23rd, he manifested as Resonant Storm, kin 59 in the Long Count, it really does synchronise perfectly to encapsulate the underlaying essence of the 19 and 11 Matrices, in that Valums Dreamspell archetype is 11, and Pacals Long Count archetype is 19. We see perfectly how both archetypes, both systems of the Tzolkin, both crystals in the matrix, pulse in harmony with each other as they synchronise within the 19:19 6D Matrix.. This is quite a rare and unique synchronicity that holds the fabric of the 19:19 matrix, and its crystalline manifestation beautifully in place. As I also mention above, at the moment of Pacals manifestation into the World, we see that, as the counts vibrate together perfectly. The Tzolkin kins of the Long Count and Dreamspell were a perfect 130 kins different. A cosmic union, almost like an 4D eclipse. Perfect Balance… in this synchronicity, your kin Resonant Moon kin 189, guided by kin 241, makes a synchronic appearance, and the same kin is reflected in the Long Count kin of the frequency / date in the steps of the Temple of Inscriptions, 9.19.19.13.9 .. Guided by kin 241, the Resonant Dragon. As for the enthronement date, I have little to add at the moment, I shall investigate it however. My only thought is that I think it rings truer than the 29 year old Pacal quote I read recently, but then moving on to the Death date manifesting then as Resonant Storm, well, it becomes a parody of whats going on, just maybe he would even be Resonant Storm through Death. A pattern is certainly emerging. So, I suppose we must now begin to understand what Valum Votan said in his decoding of the Lunar Wizard Crop Circle from August 1st, 2007. Of course it would be non-quantifiable, how could he possibly know about this until the perfect confirmation would manifest, and that through the Earthly death of Valum votan ascending on March 23rd, Day 241 in the Matrix, where the 2 5D archetypes meet and begin the fusion of the 6D Merkaba. It could only be known by stumbling upon this from a higher dimensional perspective. He could not possibly predict the purpose of what he was manifesting, he walked completely bound within his role as the 5D Prophet of Time, just like Pacal. Remarkably, the final cube, 1 cubed in the final year of the journey, would become the same final apex cube in the Prophecy of the Pyramid, Resonant Storm, which was of course unquantifiable from his “past” perspective, because I hadn’t even created the stone by then. Of course many of the clues are hidden within this Rinri transmission 3.4.1. There are many answers to these riddles in my blog. We appear connected and streaming live, somehow.. The axis of the divine self is the revelation that is unfolding. As we have been initiated through the works of the Votan, so too has the path been established as a guide for kin to follow..
By completing the journey, the higher dimensional system that both Pacal and Valum acted perfectly within , unveiled an intricate crystal jewel that binds these constants (19 and 11), and unveils a certain path of initiation to those who fathom, and quite frankly understand the Godliness of its beauty. All indeed has been embed in the stone, embed in time, embed in blog even…embed within our individual and collective prophecies, the moment where everything aligns in the golden harmonic I feel is upon us right now. Our selfs are aligning. 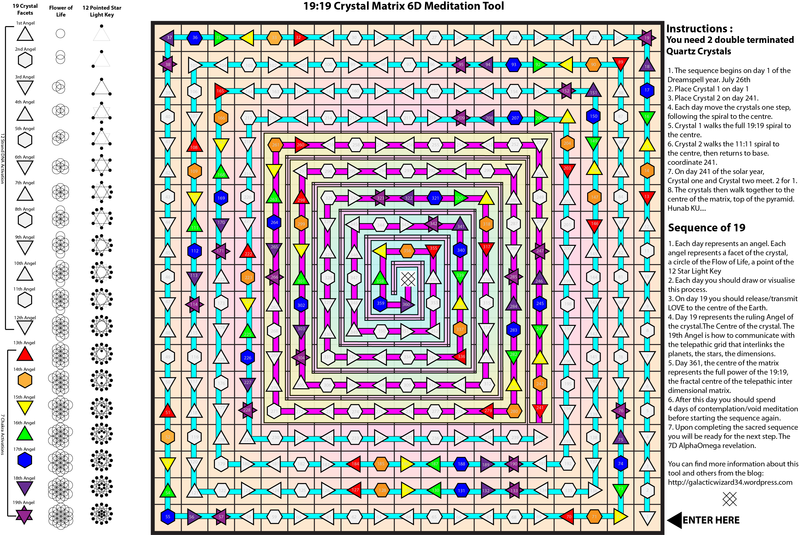 The 1331 cubes that were fulfilled upon New Earth Synchronisation, which activated the 11:11:11 Cube in Galactic Seed Year as the crystals walked upon the holographic pyramid, show everything Valum felt he was manifesting through the 441 matrix, was actually guided, and mapped in absolute perfection from the 19:19 Matrix. I appear to have awoken the matrix through the moving the stones and seeing them both through to the 6D. Quite a task, I hope its worked and everyone is in peace with the information. I have the subtle but confident feeling, that if you initiate your 5D sacred walk and uncover the and understand the riddles, you will indeed see the Golden Inter Dimensional Hologram that vibrates through the infinite and ever expanding Merkaba of the Divine Axis of Self. If you can’t see it, then you must probably think I’m some other mad man spouting random numbers and drawing pretty pictures to satisfy my over active imagination. But just maybe you can penetrate the riddles to see the magic that is manifesting from the 7D..to the 6D, to the 5D.. to the 4D.. to the 3D….down the core of existence… the nucleus of self..
Everything is indeed perfect, Love everyone, Hate no-one.. Be the Peace you want to see in this World..
Now I must return to the stone I was meditating upon. Ahaw Agent 34 sorry for my late response Lol ….. may I ask you where you got the information from that the steps leading up to Pacals temple are altogether 69 ? This clearly syncs with the ascension of Chan Bhalum 106 reported very often as LC 45 but strangely enough a few times as LC 46. Anyway your great blog above was written on 133 my LCP and of course I´m 189:59 …. I feel we express the same, it´s only a slightly different angle of perception and a huge Sync Tsunami – K19 Pacal Hypothesis UR birthday! We were there! This is the only real mystery spanning life-death and rebirth. Hey 189, thanks for passing by again. Sorry for my slow reply. To answer your first question regarding the 69 steps. I initially read about this in one of k81’s blogs, I can’t remember exactly which one, but he certainly noted the step frequency. From this, I saw the glaringly obvious LC coefficient, and build the story from there. I was very surprised to hear Alberto Ruiz was also k189, so I feel it vibrates a truthful vibration in this whole story. Ofcourse, it is possible there could have been less that 69 steps, however I’m not entirely sure how it would be possible to get to the apex of the Temple that way. Either way I feel the 9.19.19.13.9 frequency is something deep to contemplate upon. Regarding the steps down to the tomb, k81 made a study on the inner steps down to the Tomb. I think he may have calculated 71 steps. Probably best to contact k81 with questions on that. 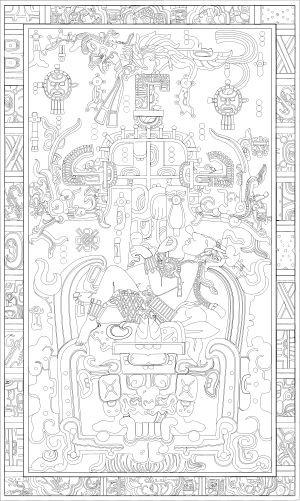 I have not yet managed to enter the tomb of Pakal, however when I do, I will be sure to count my footsteps as I descend .. Thanks for your work and help in anchoring this wisdom. We all have much to learn from each other. Much love to you and your family.